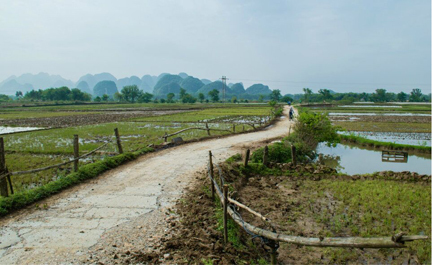 A short version of the back roads cycle tour between Guilin and Yangshuo. It's a self-guided trip exploring the peaceful countryside and scenery of Guilin,Yangshuo, Li River and the Karst landform. Guided with our GPS map and supported with our local cell phone, you will have plenty of time on the road and do anything you want not following the fixed itinerary. Riders need to overcome those possible difficulties on the way as the tour is without bike leader or supporting van. 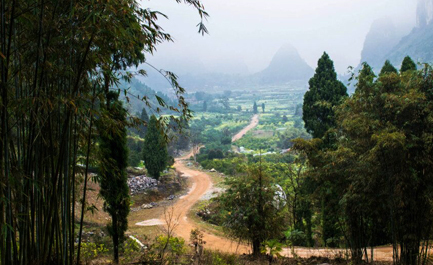 In the morning, guests may need to find our workshop near the down town of Guilin city and get the bicycles. We test our bikes and learn to use the GPS map and cell phone we offer to you then start your own journey. Following the trails shown on the phone, you will cycle through local market then shift into villages with poorer road surface. Don't forget to take break and buy some water, snacks or fruit when you find local market along the street. After about 2-3 hours cycling for the first 25KM, you will getting to know how to use the GPS map better, then we will arrive Daxu. 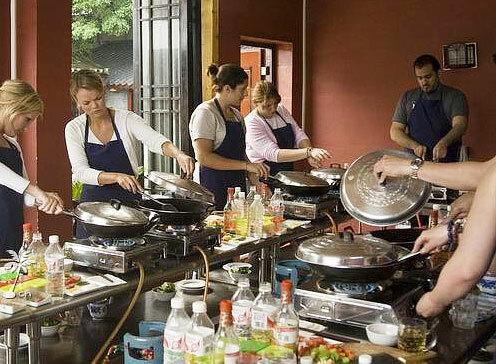 Please try to find a place for lunch there, as the town is a popular attraction near Guilin city. 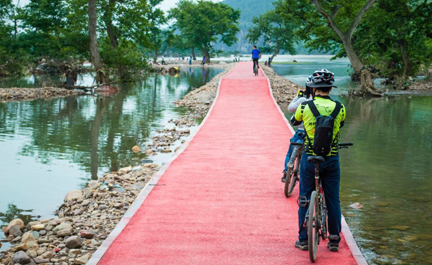 The greenway for bicycles are now finished so after your visit and stay at the ancient street, you can find the 'paved in red road' then follow it, we will cycle along the Li River and peaceful roads until arrive the Caoping town, where the famous Crown Cave located. There are more climbs and undulating this afternoon and it’s a little harder to people without long-distance cycle background but easy for skilled riders. 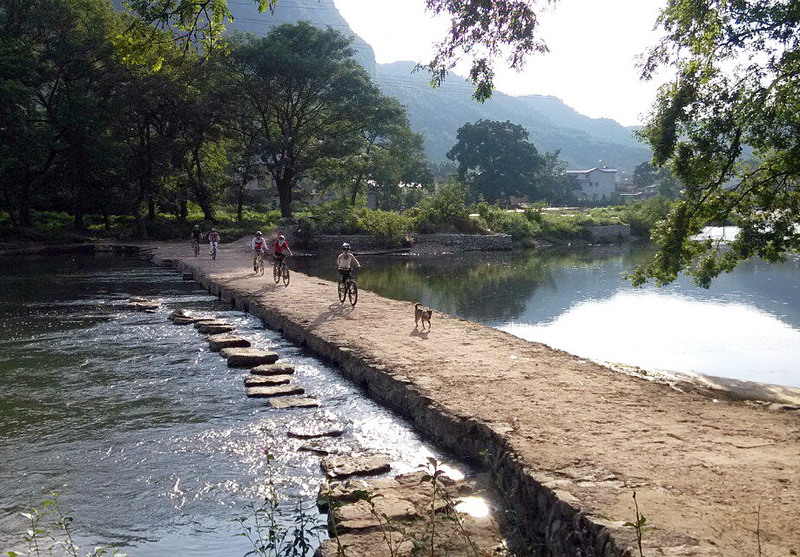 Enjoy the peaceful villages and greenway until arriving Caoping. After checking in hotel under the help from calling us by phone, participants can take an optional paid-in-cash visit to the Karst Cave there or enjoy a short bamboo (plastic tube) rafting on the Li River for 30-60minutes. 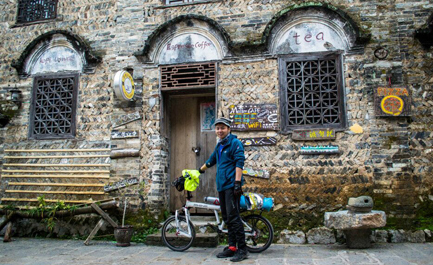 Today we may need to climb up back to the turning point where we cycle down yesterday and then start the challenge of biking through mountain areas to Xingping. The climbs only lasts less than 4KM each but the undulating may cause some trouble to those less skilled riders, however, we are rewarded with particular and perfect Karst landform sceneries passing by beautiful villages and brook, water dam and reservoir. We arrive at Xingping for lunch and will still have enough time to enjoy the great town, considering do a trekking onto Laozhai Hill or relax in the bar and cafes at the Xingping Old Town. Li River rafting is also available there. Enjoy the leisure and peaceful time at Xingping and take your time resting on our super great hotel arranged, there are many big rooms and belcony! After breakfast at hotel, we back on our bikes then cycle to the dock of Xingping town, we across the river on the local fishing boat to the other side of Li River, then be ready to 'lose the way' in the villages and mountains. The first couple of distance will be a cycling on off-road, with steep climb (not very long, please push the bike if you want), don't forget to follow our map and the special direction marks on the road, and then soon you will back to paved concrete road. 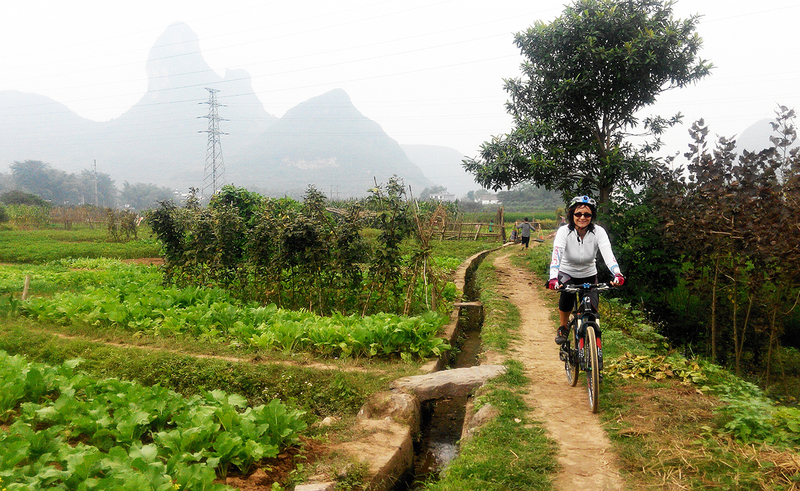 Then start to cycle mainly down hill, undulating or short climbs for many times until arrive at Yangshuo. 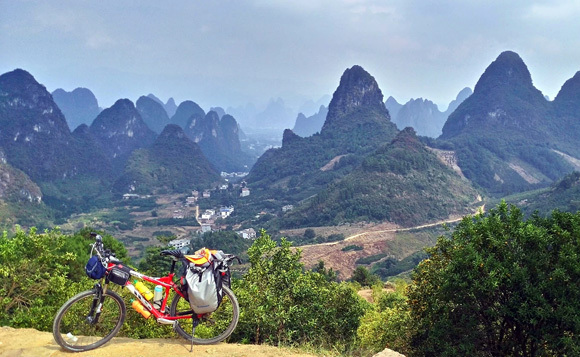 Our supporting van will drive to Yangshuo and you need to return the bikes today. 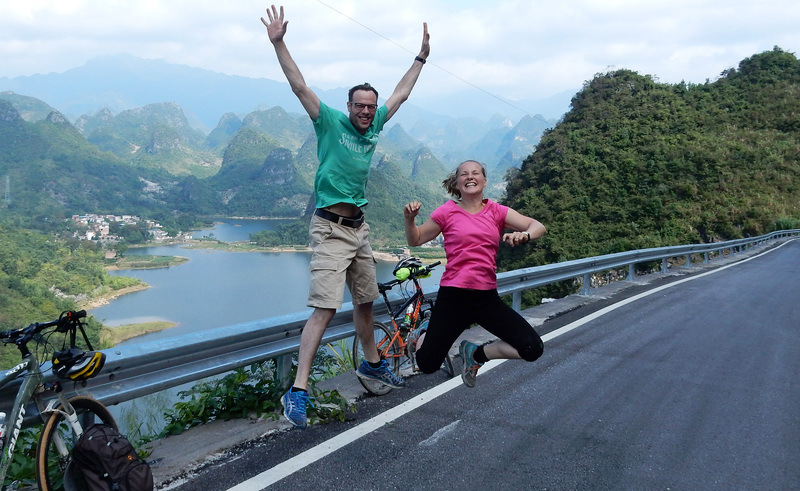 Or you can rental the bike for more free days and cycle around Yangshuo's countryside for sure, we can offer some free routes and introductions about the places worth to visit. Service ends, you will arrange your own transferring back to Guilin. luggage rack and panniers on bikes can be arranged. 6. Local cell phone with GPS map app, phone supports at anytime.